It’s no secret that social media is a powerful tool, but are you using it the right way to boost your business? If you’re not sure or if you have yet to tackle social media for your business, then now is the time to jump on board! News flash: social media IS the new word-of-mouth. 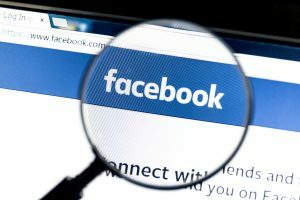 Facebook is no longer a tool that just connects old classmates and friends from the past, but it’s also changed the way that we do business. In June of 2012 there were 8 million local business pages on Facebook, by May 2013, that number doubled to a whopping 16 million! This means that your competitors are likely taking advantage of Facebook and you should be, too. Once your local business page has been created and updated with photos and business information it’s time to get some fans. The first way to do that is to invite your Facebook friends to like your page. To reach a wider local audience, ask your employees to do the same. This way, you can get a solid base of fans before the real work begins. Another way to get your employees involved in generating Facebook fans for your business, is to ask them to add your business page as their place of employment on their personal profiles. This will give your business page more exposure to your employees’ Facebook friends. Get in front of more potential customers by interacting with local Facebook pages and groups where your customers are also engaging. For example, like local news pages, maybe even connect with the editors, also like local government and chamber of commerce pages. Keep in mind that simply liking the pages isn’t enough. You’ll want to comment and like news stories and content related to your industry to show the local community your business is engaged and knowledgeable, positioning your business as an industry expert. Give users a reason to engage with your business. That means give them entertaining content! The key here is quality, not quantity. Use images, create interesting articles on your own business blog to share and also share information created by other experts in the industry. Facebook offers a lot of tools to business users in the way of advertising. You can boost your business page to appear on the news feed of an audience in a specific geographic location, a specific age and with a particular set of interests. Set your budget and click a few buttons and there you go! You can also use the Facebook Advertising page to create more specific advertising objectives like boosting a certain post, gaining page likes or driving users to your business website. Whatever your advertising objective, you can use Facebook’s advertising tool to get in front of a local audience. With 968 million people logging into Facebook a day, you have quite the audience to work with. However it’s important to understand that your goal shouldn’t be to reach a million people on Facebook, but to reach the right people on Facebook. Need help getting started? TotalHousehold Pro provides social media marketing services to home improvement professionals. Our marketing team can work with you to build your local page and your brand. For more information about TotalHousehold Pro services visit call for a free consultation at 800-325-4315 or click here for a free website evaluation.